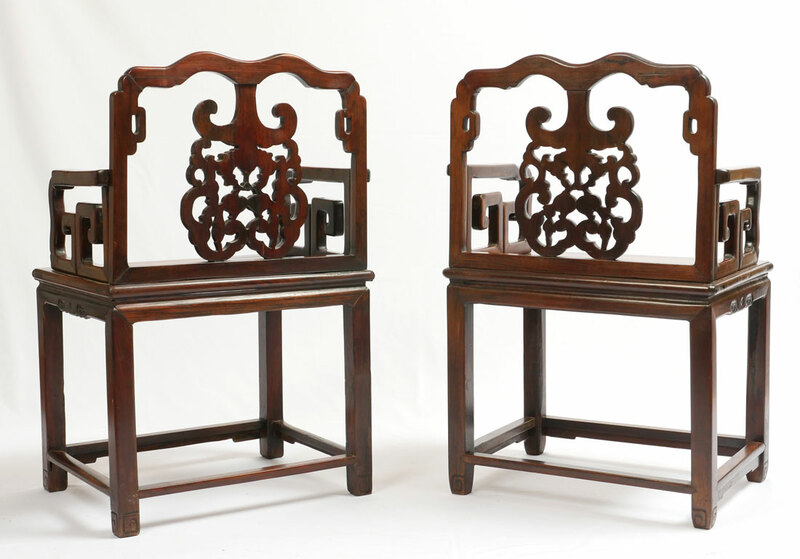 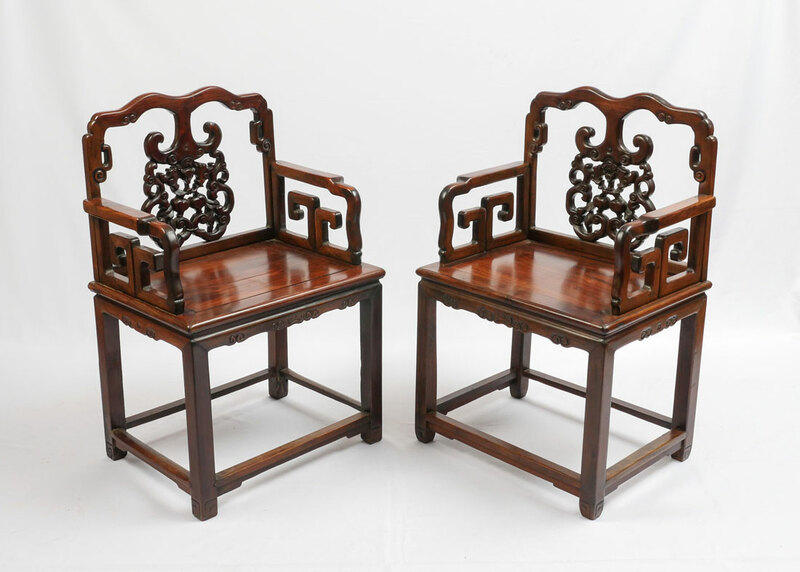 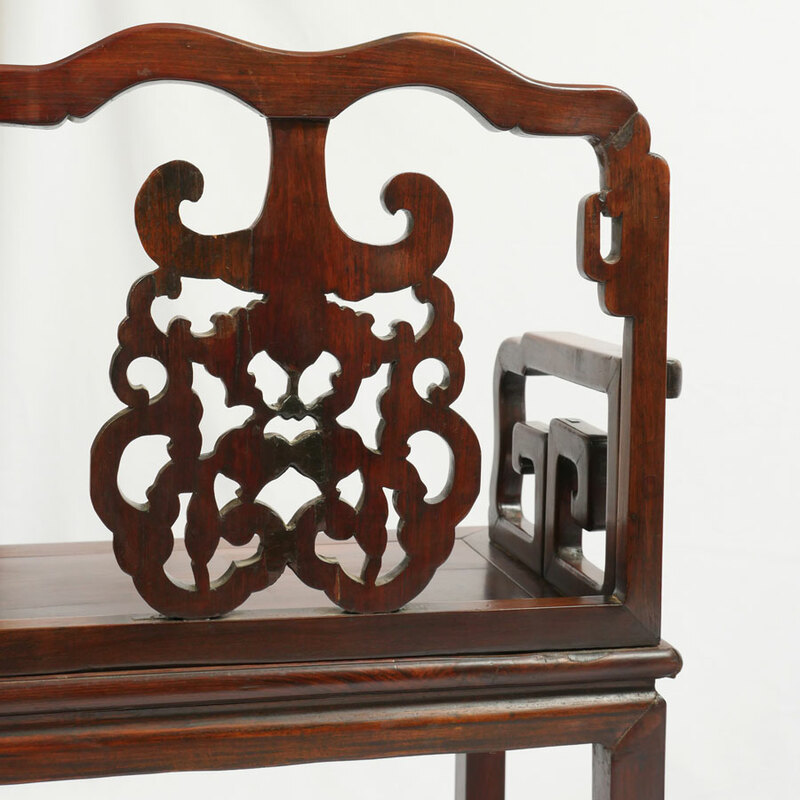 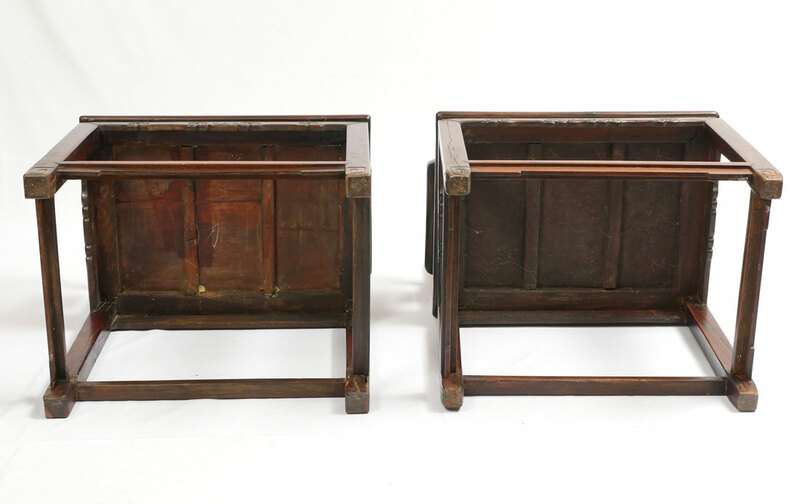 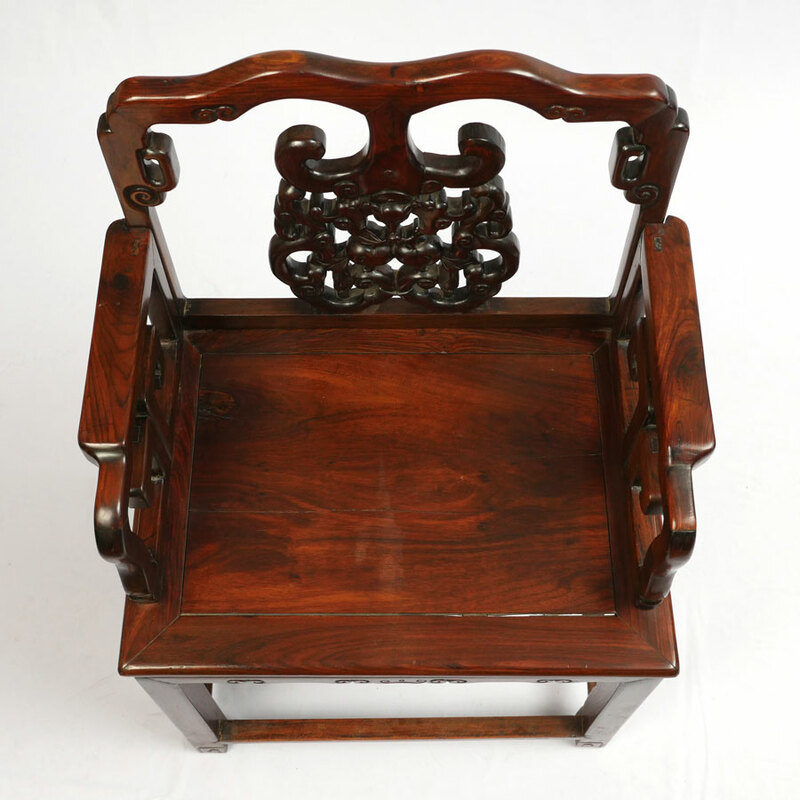 2 HEAVY ROSEWOOD CHINESE ARM CHAIRS HUANGHUALI? 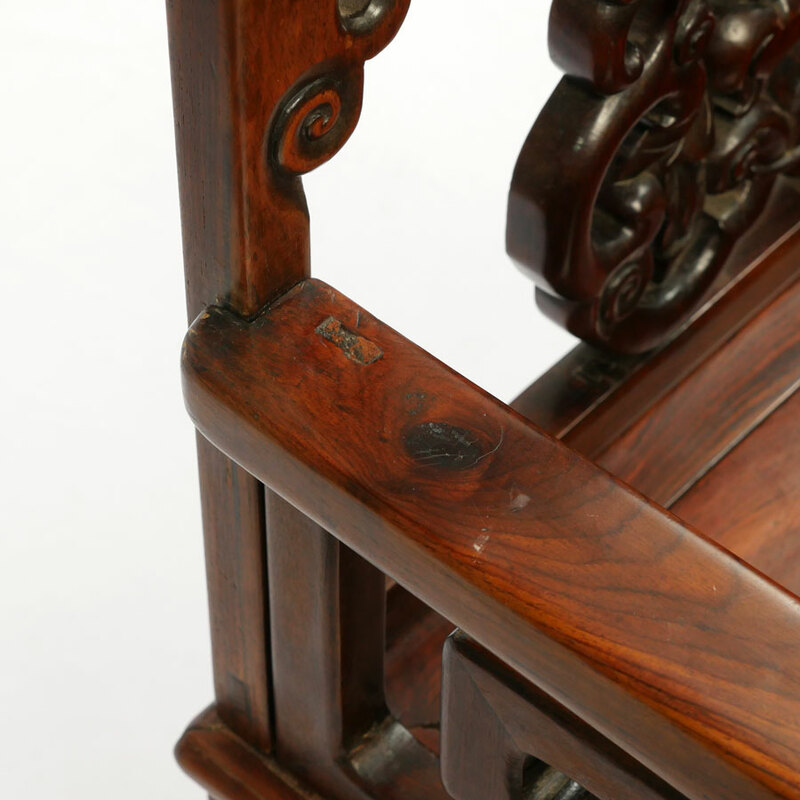 : Nicely detailed carved and shaped back with bat and fruit decoration, carved arms and skirt. 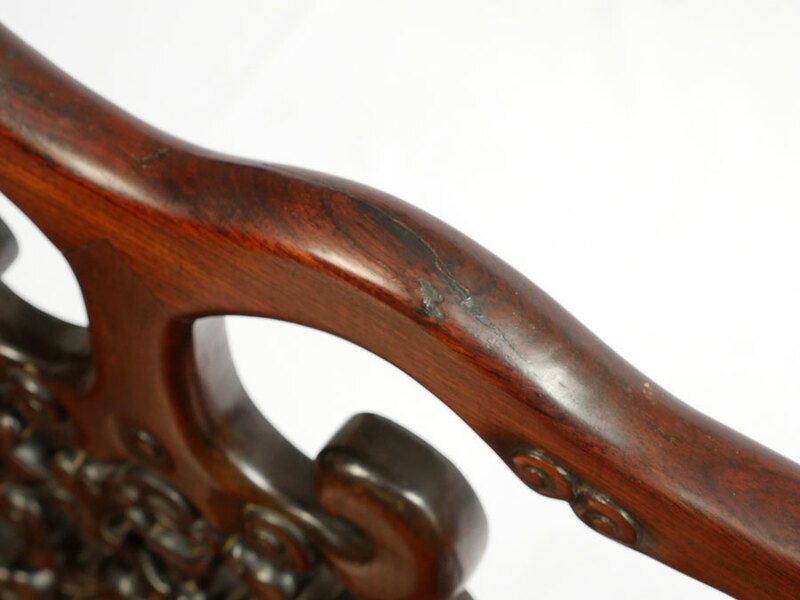 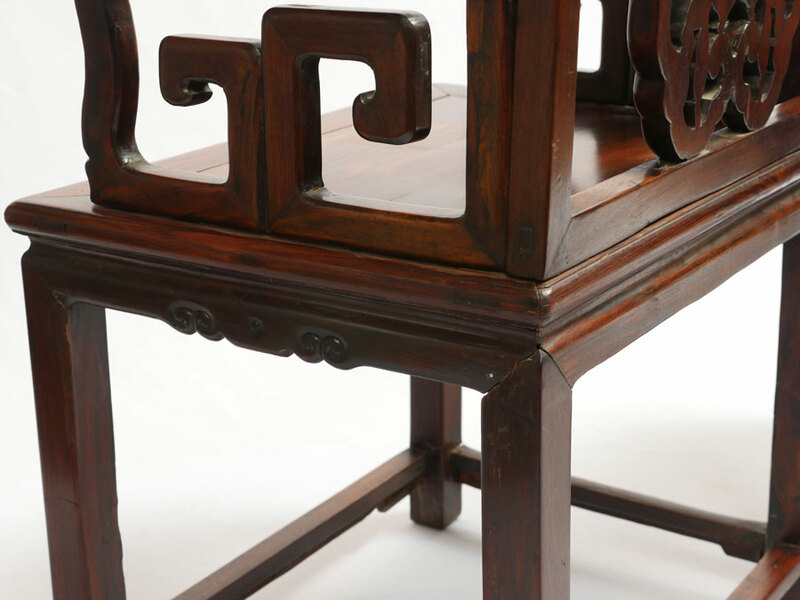 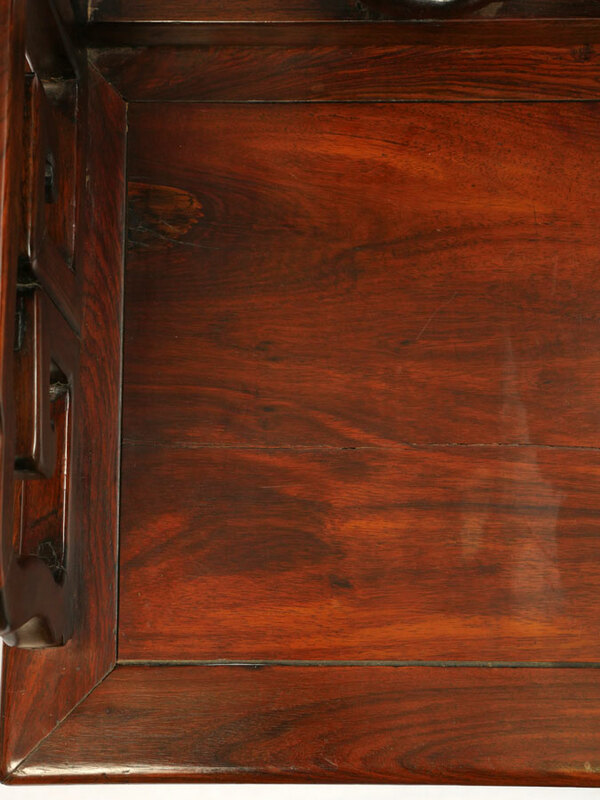 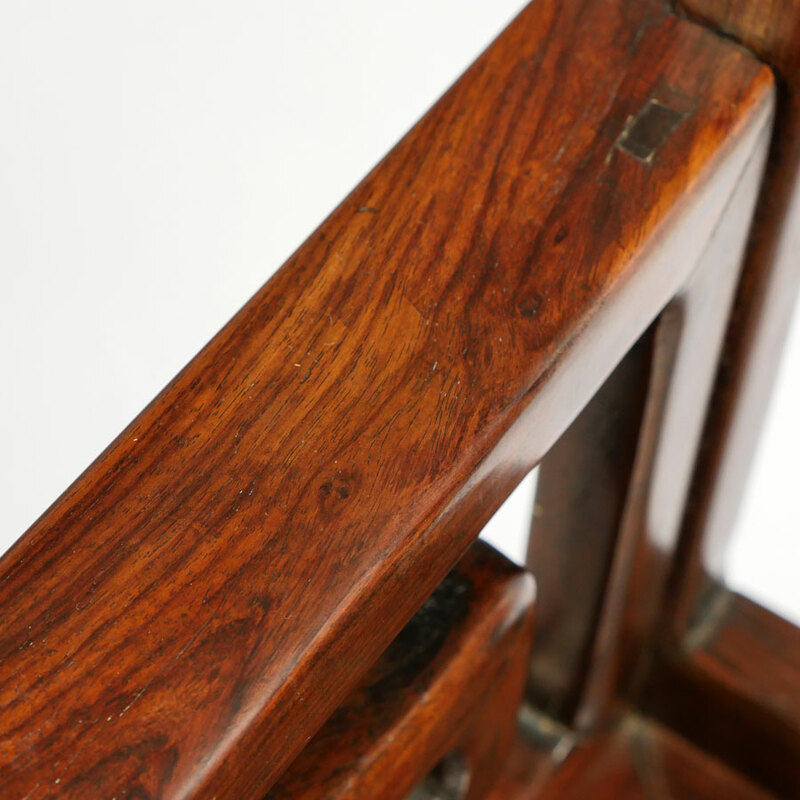 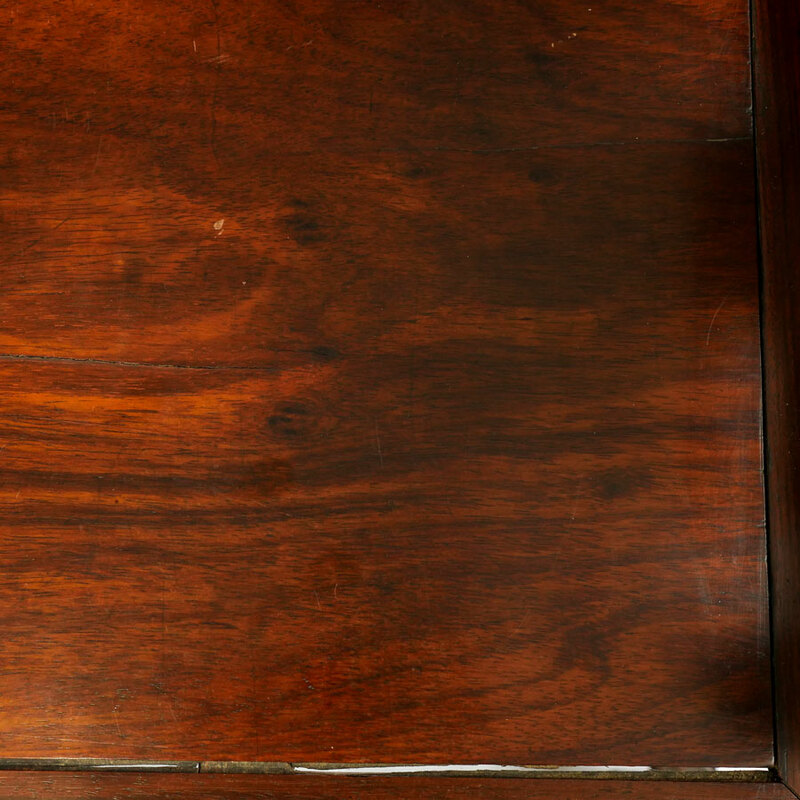 Through tenon construction, heavy rosewood or possibly huanghuali. 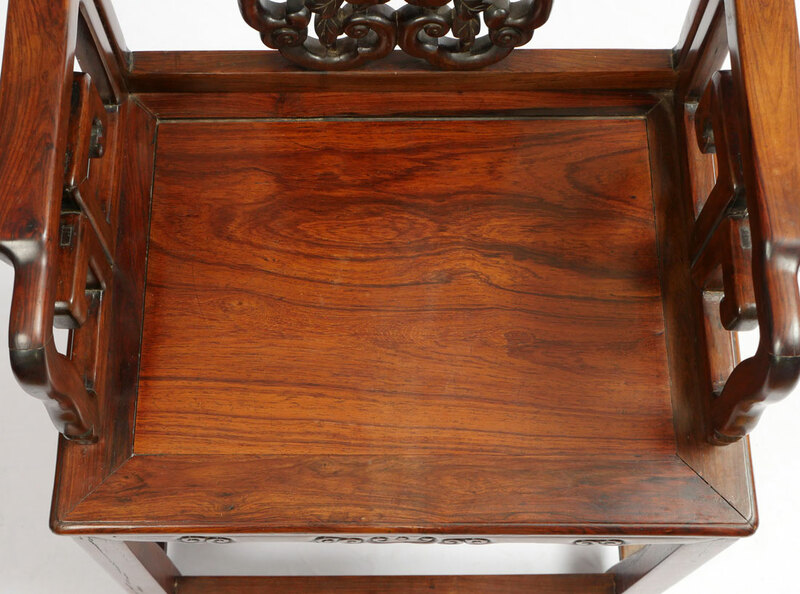 Measures 38 1/4'' h. x 25 1/4'' x 18''.